Hundreds of mourners attended the funeral of Mathieu LeClair on Monday, remembering the 20-year-old as a caring young man with a tremendous future in the military. Mathieu LeClair was found in a lake near the Royal Military College in Kingston, Ont. Hundreds of mourners attended the funeral of Mathieu LeClair on Monday in Saint John, remembering the 20-year-old as a caring young man with a tremendous future in the military. LeClair was reported missing from the Royal Military College in Kingston, Ont., on Feb. 27. The Ontario Provincial Police pulled LeClair’s body from the waters of Lake Ontario near the campus the next day. The Canadian Forces National Investigation Service says foul play is not suspected, however they have not released the young man's cause of death. The military says it may never confirm what happened at the request of LeClair's family. On Monday, mourners were focused on remembering the young man. Capt. 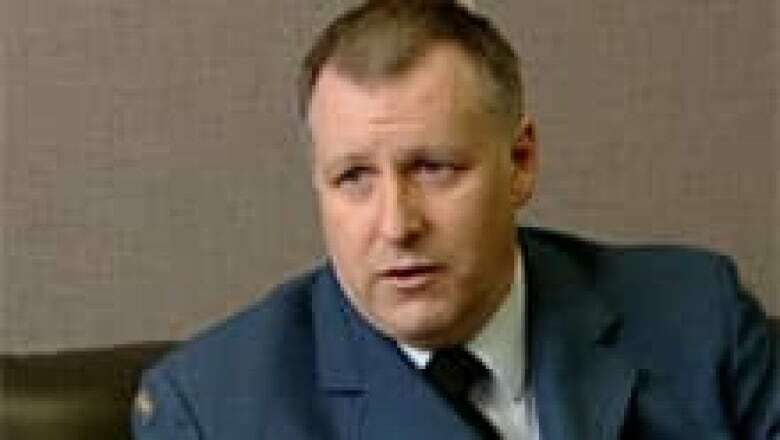 Peter Smith met LeClair when he joined the air cadets at the age of 12. "The boy had tremendous potential. He was really an exceptional young man," he said. Smith said LeClair was smart, driven, disciplined but also kind and nurturing and excited to be in the military. "He was so young and such a bright future. Such a good person, such a good caring kid who had such great leadership, it was a shock," he said. LeClair’s casket was carried into the church on Monday by his own classmates. They arrived by the busload from Kingston. LeClair's family asked all media to keep a respectful distance from the funeral services. This is the second high-profile death of an RMC cadet in the last decade. In 2003, the search for 21-year-old Joe Grozelle ended when his body was recovered from a river near the military college’s campus. Two autopsies never determined the cause of death.